This Three Bed, Two and Half Bath Home Features Many Upgrades through out to Include - Brand New Samsung Stainless Steel Appliances, Brand-New Water Heater with Extension Tank, Brand-New Granite Counter Tops, Brand-New Tile floors in all Bath Rooms, Kitchen and Foyer. New toilets, Interior professionally Painted! Brand-New Carpet in Entire House! Walk out Basement is fully Finished with Half Bath. Attached Garage with Brand- New Automatic Garage Door with Remotes. Large Kitchen with Dining Space that leads to a Large Deck, 2- Story Foyer, 9 Foot Ceilings, Vaulted Ceilings in Master Bed Room. Large Maintenance Free Trex Deck. Large Brick Patio that overlooks back yard with Six Foot Privacy Fence and Side Gate. Extra Side Windows for Extra Brightness This Home is in the Highly Rated School District and is Conveniently Located to shops and grocery. Manchester Farm Community Boasting the Largest Private Swimming Pool in Montgomery County, Community Center, Several Tot Lots, Tennis Court and Walking Trails. 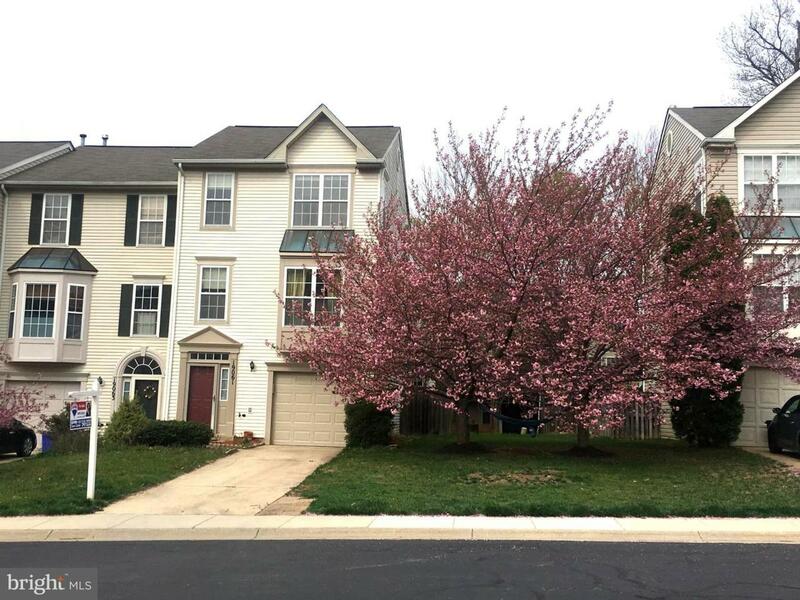 Easy Access to Marc Rail Stations, The Germantown Town Center and Clarksburg Outlets. Move in Ready, Must See Today! Meticulously Maintained, Light Filled and Spacious End Unit Garage Town House in Highly Desired Manchester Farm Community.